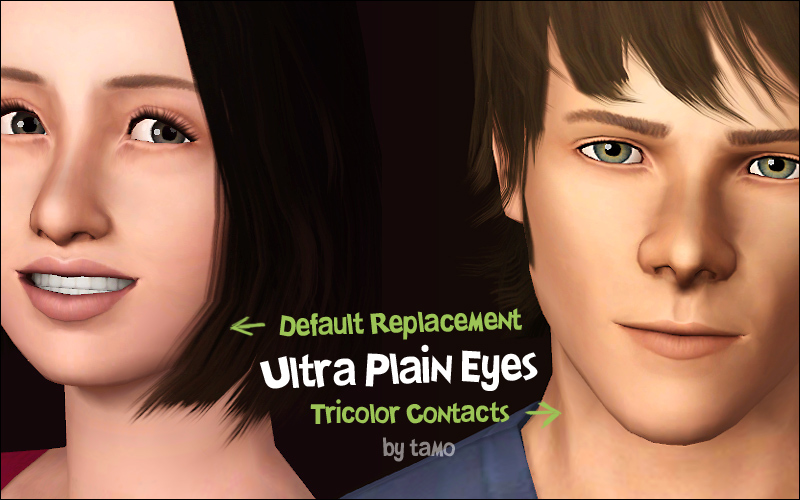 These are default replacement eyes and tricolor contacts(face mask) that have a plain texture like EA eyes. They don't have dramatic contrast. Instead, neat in-game and Maxis/EA-Match. It suits every sim, I think. Same size as EA. 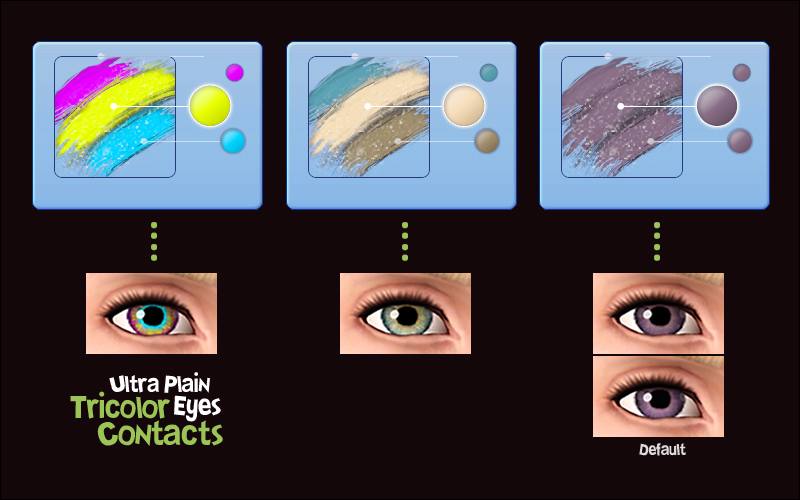 Smaller pupils. Defined outline. Similar color tone and fine texture. 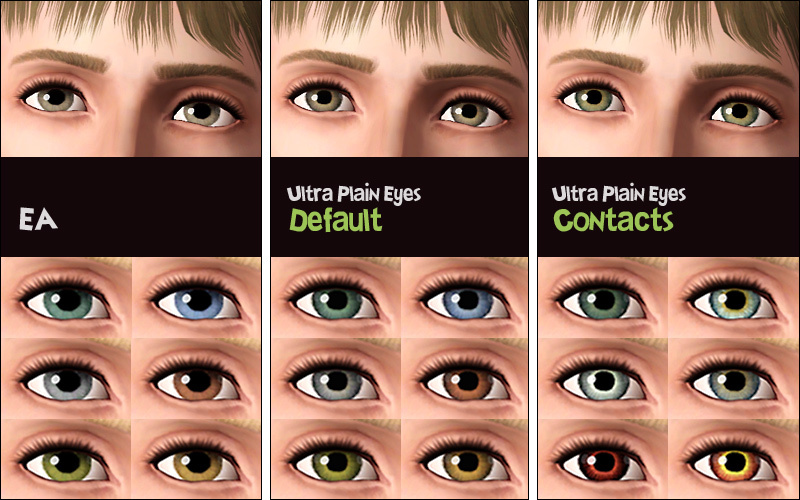 - The default eyes are the same as this I up-loaded already. 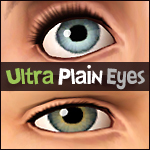 - for both genders, all ages.